Mr. Destine founded a national dance company in Haiti. NEW YORK — Jean-Leon Destine, a Haitian dancer and choreographer who brought his country’s traditional music and dance to concert stages around the world, died Jan. 22 at his home in Manhattan. He was 94. Jean-Leon Destine was born in Saint-Marc, Haiti. His father was a government official; his mother, a seamstress. After his parents divorced when he was a boy, he moved with his mother to Port-au-Prince, where they lived in reduced circumstances. From a very early age, Mr. Destine was captivated by Haitian music and drumming. As a youth, he learned traditional dance by attending the religious rituals and other celebrations of which it had long been an integral part. He also sang in the folkloric ensemble directed by Lina Mathon Blanchet, a prominent Haitian musician. In the 1940s, Mr. Destine received a Rockefeller Foundation scholarship to study printing and journalism. After taking classes at Howard University in Washington, he moved to New York and learned to operate and maintain linotype machines, then used to cast type for printing newspapers and other publications. Mr. Destine, who eventually became a US citizen, also continued dancing. 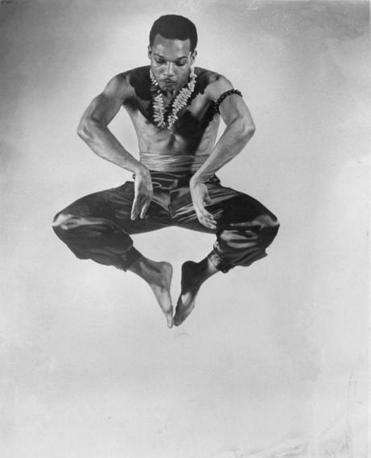 In the late 1940s he spent several years with the company of Katherine Dunham, considered the matriarch of black dance in the United States.